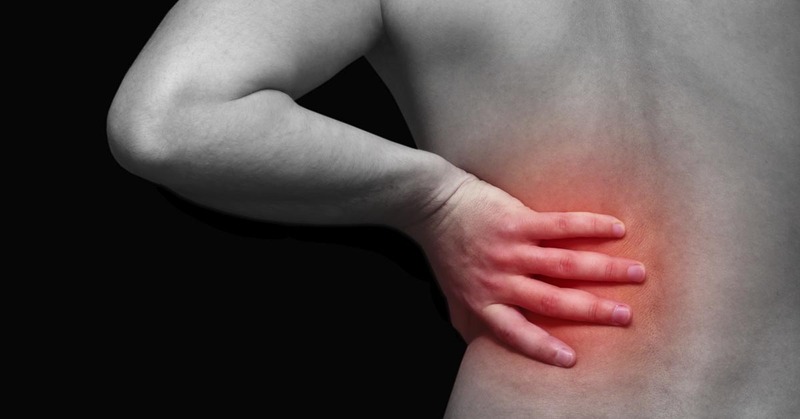 Each year, over 500,000 people have back surgery in the US. Although sometimes it's necessary to have surgery for back pain, the fact is that if you can prevent this type of invasive procedure, you're often better off. Sweeney Chiropractic is here to make sure that patients in Nashville have a natural, non-surgical option for back problems. We've helped many people recover from back pain without the need for surgery. There are plenty of reasons to avoid unnecessary medical procedures: Surgeries often result in a longer recuperation time and additional complications, neither of which is an acceptable scenario. Luckily, as one study has found, chiropractic care may actually keep you off the surgeon's table completely. In this report, 1,885 workers with back injuries were evaluated over a three year period. When the workers first sought care with a surgeon, over 42 percent wound up having surgery for their pain. For patients who saw only a chiropractor, only 1.5 percent had surgery! These findings indicate that chiropractic care can help you heal from back pain without surgical treatments. If you live in the Nashville area, Sweeney Chiropractic can probably help you with your back pain. Give our office a call today at (615) 331-7040 for more information or an appointment. Over 2 million people are injured every year in automobile accidents in the U.S. While most people are able to heal from their injuries relatively quickly, too many people are left to deal with chronic pain and disability. We see many of these patients here in our Nashville office. Fortunately, Sweeney Chiropractic is here to help you recover from your auto injury. The science confirms what we see in our office: A British study was conducted on 28 individuals diagnosed with chronic whiplash syndrome. Each participant received chiropractic adjustments and 93 percent of them experienced pain relief following their adjustments, even though 43 percent of whiplash sufferers overall usually never find relief. 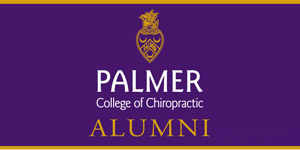 This confirms that chiropractic is a great way to avoid chronic pain after an auto injury. It's important to note that research has also found that delaying treatment after a car crash can adversely affect healing time, so getting in to see Sweeney Chiropractic at the earliest opportunity is key to having a quicker recovery. Sweeney Chiropractic has helped many auto injury patients, and we're here to help you, too. Call our Nashville office today for more information or an appointment. We treat a lot of people with back pain in our Nashville office, and Sweeney Chiropractic has noticed that many cases of back pain stem from the sacroiliac (SI) joint. Research has demonstrated that about twenty-five percent of all back pain starts out in the SI joint, and now fresh research corroborates what we have noticed in our clinic: chiropractic is an effective way to treat this problem. In the study released in the Journal of Bodywork and Movement Therapies, thirty-two women who suffered from sacroiliac joint dysfunction were split into two groups and asked to take part in one of two treatment methods. The first group received a chiropractic adjustment isolated to the sacroiliac joint, and the alternate group was given an adjustment to the sacroiliac joint and the lumbar spine. Specialists noticed greater improvements in both pain and movement immediately after treatment, two days later, and 30 days later for the group who received high-velocity low-amplitude manipulation to both the sacroiliac joint and the lumbar spine. This suggests that chiropractic manipulation administered in these two areas offers both short term and lasting results for sacroiliac joint pain sufferers—even with just a single treatment round. So, if you are having trouble with sacroiliac joint pain, or cope with back and leg pain and are ready to know if your sacroiliac joint is the root, a visit to our Nashville office may be the first—and best—step towards recovery. Give our office a call today at (615) 331-7040. We treat many auto injury cases in our Nashville office, and a common symptom our patients report is neck pain. If you are dealing with neck pain after a car accident, don't despair. Sweeney Chiropractic sees this type of condition very often in our Nashville office. Neck pain is a common condition after a car crash, and it's something that Sweeney Chiropractic sees frequently in our Nashville office. What causes neck pain after a car crash? How can a chiropractor help? Why is neck pain such a common symptom after an auto collision? How can your chiropractor help you get better? Let's take a look at why neck pain is commonly experienced after a car crash and see how chiropractic care can help you recover. Let's look at the root cause of neck pain after an auto injury and see how chiropractic care can help. The key to recovering from neck pain caused by a crash is to understand the root cause of the problem and how chiropractic care can help. Chiropractic can be very helpful for neck pain symptoms after a crash. Let's examine what causes neck pain and why chiropractic works. Chiropractic is a great way to treat neck pain. 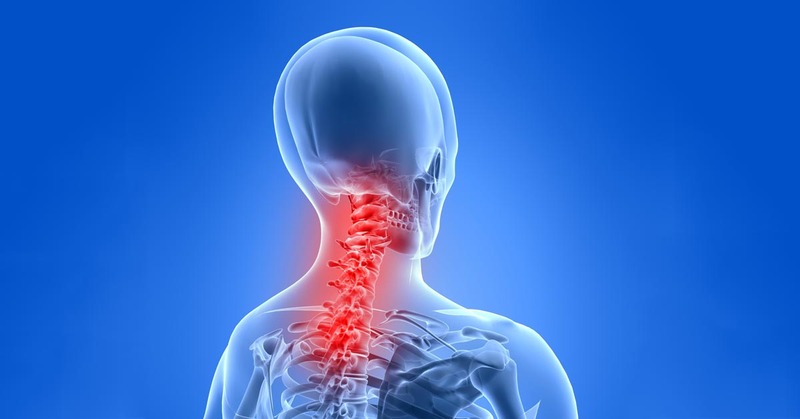 Let's look at how neck pain is caused by a crash and how Sweeney Chiropractic can help you. It's not surprising that neck pain is the most common problem experienced after a crash. Even in a collision, your head is rapidly thrown back and forth, so it's not surprising that neck pain is the most common symptom from this type of injury. The neck is subjected to very high forces during a crash, so it's not surprising that neck pain is so common from this type of injury. During even a low velocity collision, your head is subjected to extremely rapid acceleration. In such collisions, a head that normally weighs about 10 pounds can suddenly weigh eight times as much. This force exerts an extreme strain on the tissues of the cervical spine. The bones of your neck are held together with strong bands of tissue called ligaments, and these ligaments provide stability for your neck. These ligaments can be sprained during a wreck, just as the ligaments in your ankle can be sprained. A sprain means that the ligament is stretched or torn. When you experience a sprained ligament, the damaged tissues become swollen and painful, and that's what occurs after a car crash. Chiropractic helps by increasing movement in the injured area, which helps the tissues heal and helps reduce scar tissue. You don't have to suffer from neck pain. Sweeney Chiropractic is conveniently located in Nashville to help you get better, whether you've been in a car crash or not. If you've been injured in a car crash and you're suffering from neck pain, Sweeney Chiropractic is here to help. Sweeney Chiropractic has been helping patients in Nashville since 2004, so we know what you're living with. We're here to help you, too. Let us help you recover from neck pain. The first step is to get an accurate diagnosis to determine what's causing your pain and then we will determine an appropriate treatment plan of action. Next, we'll do a careful examination to establish the root cause of your pain, and then decide how to restore your body's natural functioning. Sweeney Chiropractic will determine what's causing your pain and then will work to restore your body to its natural functioning. Give our office a call today at (615) 331-7040 to make an appointment. Although some people are still skeptical about chiropractic care, even the American Medical Association (AMA) recommends that adjustments should be tried prior to surgical treatment--the one option that should be a last resort. Sweeney Chiropractic has seen many back pain patients in our Nashville office who have been suffering for years and who are afraid that they might need an operation for their back pain. Sweeney Chiropractic has had great success in helping patients recover and avoid risky back surgery, and the science backs up our experience. For example, in one study conducted on almost 2,000 Washington State employees who suffered from a back injury while on the job, more than 40% who saw a surgeon first following their injury found themselves having back surgery within three years. That compares to just 1.5% of the individuals who first sought treatment with chiropractic, proving that this non-invasive approach is very effective at keeping you out of the operating room. There are alternatives to risky medical procedures. Chiropractic is a proven effective and safe way to improve the function of your spine, which is the root cause of back pain. Sweeney Chiropractic has helped many patients in Nashville recover. Give our office a call today at (615) 331-7040 for an appointment. We manage many auto injury cases in in our Nashville office, and a common symptom we see in our patients is headache. Your chiropractor can be very helpful for headache symptoms after a crash. Let's see what causes headache and why chiropractic works. There are many different types of headache. Headache that's caused by a car crash, though, usually starts as tension or strain in the muscle tissue of the neck. In a collision, the neck muscles can be torn, which results in inflammation and soreness. These kinds of headache can be felt in different places, including the back of the head or even the temple. Another frequent cause of headache after a crash that we see in our Nashville office is cervicogenic headache, or headaches that originate in injured ligaments of the neck. Ligament injury is very common after a crash, and it's important to get treatment for this type of problem to protect against the creation of scar tissue. Chiropractic care is an effective way to treat headaches, including those brought about by car crashes. Your chiropractor will help reduce the inflammation and tension in your neck, which will help ease the headache pain. You don't have to suffer from headache. Sweeney Chiropractic is conveniently located in Nashville to help you heal, whether you've been in a car crash or not. Sweeney Chiropractic will first determine what's causing your pain and then work to restore your body to its natural functioning. Call us today at (615) 331-7040 if you have questions or would like to make an appointment. We know how difficult chronic headache pain can be. Sweeney Chiropractic and our staff have worked with many people in our Nashville chiropractic office, and we've had great success in helping people eliminate their headache pain. A 2016 research study verifies what we see in our practice. In this paper, the authors started with 110 individuals who were suffering from headaches that originated in the cervical spine. 58 of these patients were given a series of neck adjustments; 52 were given some stretches and exercises. The treatment period for both groups was four weeks. Chiropractic is a safe and effective way to treat chronic headache pain, back pain, neck pain, and many other health conditions. If you're tired of suffering, give Sweeney Chiropractic a call today at our Nashville office at (615) 331-7040. We're here to help get you relief. Here in our Nashville office, Sweeney Chiropractic has helped countless patients heal from back pain. If you are struggling with back pain, you've probably been tempted to take drugs to decrease the discomfort. You should understand that research indicates that chiropractic care is often a much healthier alternative than drugs when it comes to relieving this particular type of problem. In a 2013 study published in the medical journal Spine researchers included 101 subjects who had suffered back pain for more than two days. Each individual was then designated to one of three groups. The first group, which was made up of 37 patients, received chiropractic care and a placebo of the medication diclofenac. The second group of 38 patients received sham chiropractic adjustments and the real drug. The third group of 25 people served as the control as those subjects received sham chiropractic care and also received the placebo, thus having no real care at all. Both of the groups that received some form of treatment, whether through chiropractic or the drug diclofenac, fared better than the control patients who had no real treatment. However, when the two active groups were compared to one another, the patients who received chiropractic had results that were "significantly better" than those who took the medications. Because chiropractic care is non-invasive and involves no use of medication, it helps enhance healing without unwanted side effects. For instance, anti-inflammatory drugs can result in ulcers, hypertension, and other serious health complications. Plus, the benefits of chiropractic care last longer as it's designed to correct the source of the spinal interference, not just treat the signs and symptoms. If you're ready to get help for your back pain naturally, then chiropractic is for you. Make an appointment in our Nashville office with Sweeney Chiropractic today at (615) 331-7040. We'll help relieve your back problems in a healthy way! We manage many car accident cases in in our Nashville office, and a common symptom we see in our patients is thoracic outlet syndrome. Why is thoracic outlet syndrome such a common symptom after a car crash? How can your chiropractor help you get better? The thoracic outlet is a bundle of blood vessels and nerves that travel through your neck and shoulder to your arm. These vessels don't have a lot of room, so they pass underneath and through the strong bands of muscles that support your head. In a crash, these muscles can be stretched and strained. If injured, the muscles become inflamed and tender, and they can develop scar tissue which limits movement and puts pressure on the tissues of the thoracic outlet. Pressure on the nerves can cause tingling or numbness in the shoulder, elbow and even the hand. Pressure on the blood vessels can also cause problems in the arm. Chiropractic adjustments can be an effective way to treat thoracic outlet syndrome, as Sweeney Chiropractic will help improve mobility in your spine and restore normal nerve function in your neck and shoulder. Sweeney Chiropractic is here in Nashville to help you recover from thoracic outlet syndrome. We've been helping patients since 2004 and we can probably help you, too. First, we'll do a careful assessment to figure out the root cause of your problem, and then decide how to restore your body's natural functioning. Give our office a call today at (615) 331-7040 to make an appointment. Many people suffer from headache pain, and tension headaches are a common problem in our busy lives. Postural problems and stress are common causes of tension headache pain, and ones that Sweeney Chiropractic and the team here in our Nashville chiropractic office have a lot of experience in treating. The scientific literature confirms our findings: A 2016 study from Spain treated a group of 76 men and women with chronic tension headaches. The participants were divided into four treatment groups: 19 patients were treated with suboccipital inhibition (the doctor presses on the tight tissues at the top of the spine); 19 with chiropractic adjustments; 19 with both adjustments and suboccipital inhibition; and 19 received no treatment. The authors reported that the spinal adjustments were effective at relieving pain, and that the best results were found when adjustments were mixed with the suboccipital inhibition. When we get run down, the nerves and tissues in the neck can be disrupted, causing pain. Chiropractic works by removing these stresses and restoring the normal nerve function to the area. If you live in Nashville and are suffering from any kind of headache, we're here to help you get relief. Call Sweeney Chiropractic today at (615) 331-7040 for an appointment or more information.